Apparently, October 6 is unofficial "Wacky Comic Crossover Day". This week, a few notable mashups in the comics world began, bringing together disparate heroes for zany new adventures. 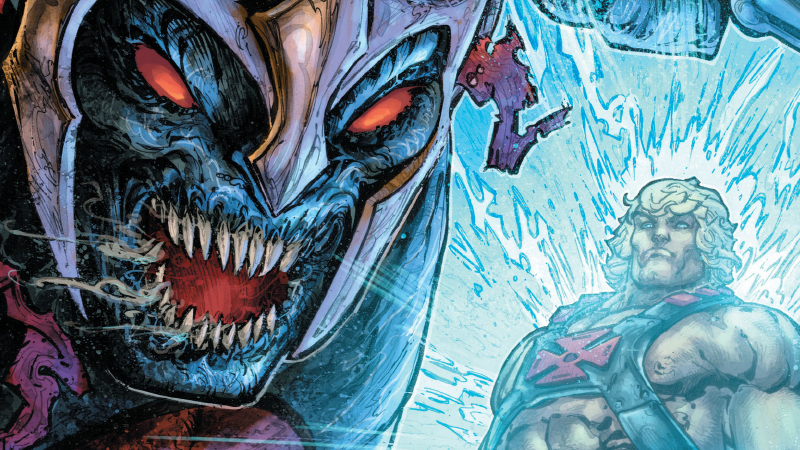 We had a read of all the crossover series out today to let you see which team-ups were worth your time. 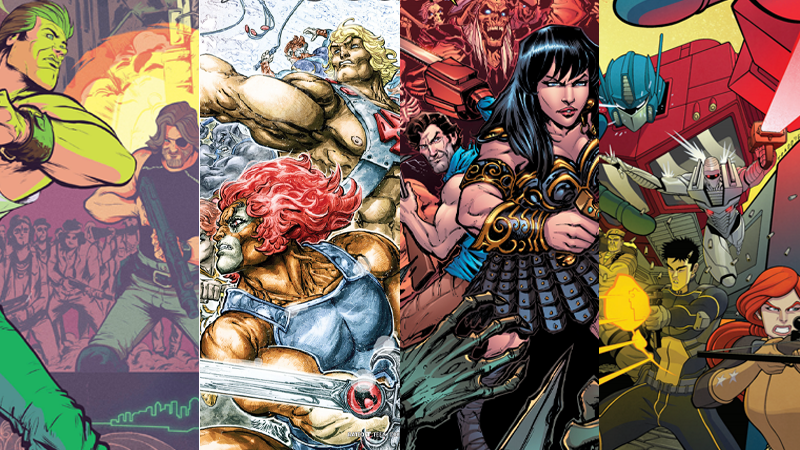 Leaning a little more on He-Man than it does on Thundercats at the moment, this '80s nostalgia-fest gets off to a grand start — although one that maybe struggles a bit with tone. Flitting between the goofiness of Prince Adam being a klutz and Mumm-Ra gorily skewering him with his own sword within a manner of pages (spoilers: He gets better), it's a strange mix between wanting to tell an epic, action-packed clash between worlds (literally, as Eternia and Third Earth are being pulled together through magical means) and giving you the jokey campness of the original cartoon. It's a perfunctory start to the series, but a solid one. Hopefully the Thundercats (even Snarf, who makes a minor appearance simply to say the word "Snarf", because of course) get more to do as the series progresses. Why They're Crossing Over: Mumm-Ra wants He-Man's Power Sword as the only weapon that can stop Lion-O's Sword of Omens. 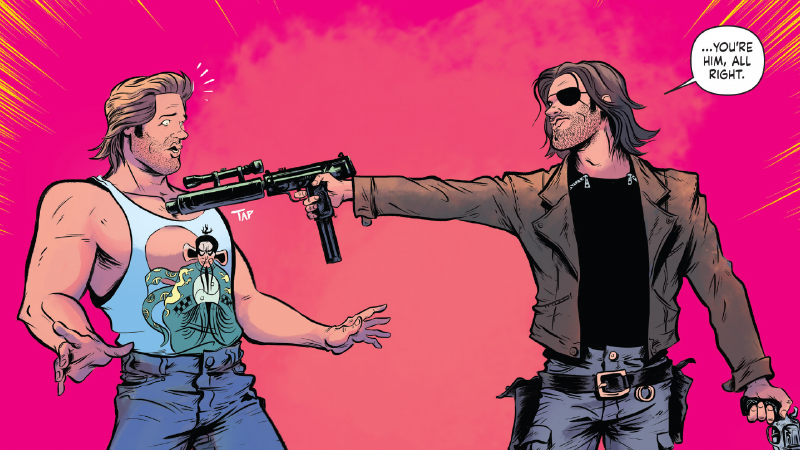 How does a crossover like this work when Kurt Russell played both Jack Burton and Snake Plissken? By having everyone think Jack is Snake, and therefore hijinks ensue. It's brilliant. The Russell connection is what makes China/New York the best out of this week's crossovers, but this opening works equally well because it doesn't really rely too much on nostalgia for the source material (which is weird to say for a comic based on Big Trouble in Little China and Escape from New York). The fun comes from what these two characters are like interacting together, rather than trying to replicate the vibe of each respective franchise. You don't get much in the first issue, other than your typical "they don't like each other at first but have to work together!" spiel, but it's very goofy fun. Why They're Crossing Over: Jack Burton accidentally drives a truck through a portal in 1987 into Escape from New York's future 2001. How do you get a crossover where your heroes don't technically cross over? It helps that Ash Williams is pretty bad at time travel. Ash never actually meets the Xena he intends to (the one that actually needs his help), but one who as yet to meet him... and considering he's Ash, that means that she definitely doesn't like him. It's a fun goof, but it also means the first issue of Forever and a Day is largely inconsequential to the actual story starting. That's kind of a funny way to handle a crossover story — and it definitely fits into Army of Darkness' sort of humour — but it also means you basically wasted a quarter of the series on one gag. At least it's a good one? Why They're Crossing Over: Xena summons Ash to rid her world of a vast Deadite army using a page from the Nercronomicon. Sort of. Time travel is hard. 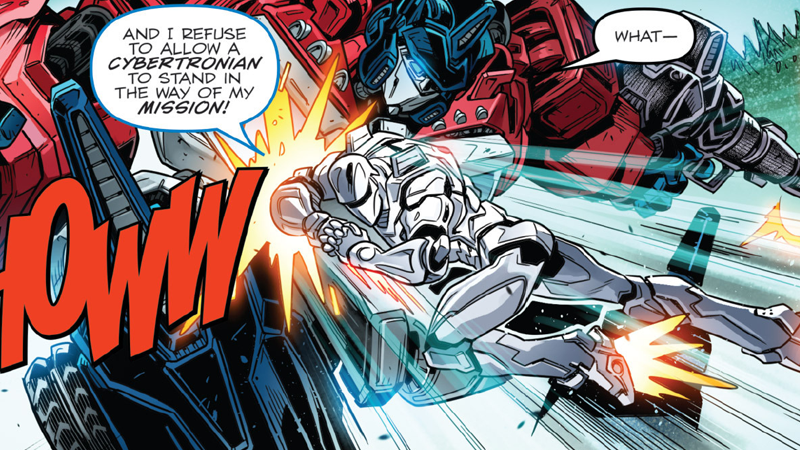 OK, so Revolution actually began two weeks ago, but its second issue came out today, so it deserves mention — also because, in its first issue, Rom the Spaceknight flat out disintegrated the original G.I. Joe, Joe Colton, which was a ballsy move. But the second issue plays out in a manner that makes it seem that so far, Revolution is about Hasbro's various heroes — the Transformers, the Joes, Rom, MASK and Action Man (the British version of G.I. Joe) — are being put at odds against each other for nefarious reasons, so maybe Joe Colton isn't as dead as IDW would like to have you believe. It's pretty standard crossover fare, but considering that this series has already achieved its first aim of putting all of IDW's Hasbro comics into one cohesive world rather than it being where the series ends, it feels like it's treading its feet a little too much by dividing the heroes against each other. Why They're Crossing Over: Because Hasbro would very much like a shared comic universe ahead of its shared movie universe plans. But do Orko and Snarf fight over who's more annoying and useless?